EllRay is down to one-and-a-half best friends, and his little sister, Alfie, suggests that he needs new friends! Or a spare, at least. For emergencies. So EllRay decides to audition other boys for the role of New best Friend. EllRay's class is brimming with possibilities, but no one seems to share his exact interests. He isn't worried, though--he can fix that once he gets to know them. And the only way to get to know them is to come up with fun things to do at recess. 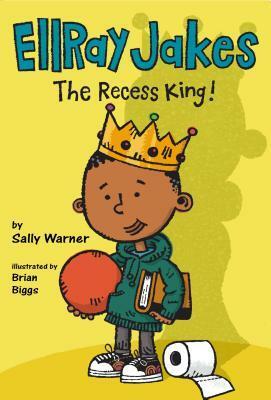 When he's the Recess King, evceryone will want to be his friend! "What's so great about going to the grand opening of the park tomorrow?" I ask my sister Alfie, as I make a snow angel on her fluffy bedroom rug. "So they fixed it up a little. It will still be the same old boring place." My name is EllRay Jakes, and I am eight years old. I know this kind of stuff." This is the eighth book in the EllRay series, and it made me want to read the others. Sally Warner really impresses by how skilfully she captures the thoughts and voice of a third-grader. Also, there's the usual "boys against the girls" motif, with each faction thinking the other comes from another planet. There's humor aplenty. 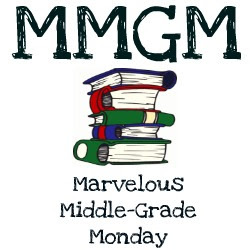 You just know that EllRay's schemes are going to come a cropper, and the kid who read the book with me (we take turns reading the pages)--who also happens to be my youngest and who somehow or other is now in 5th grade (doesn't time fly!) --really enjoyed the whole toilet paper zombie episode. "I liked that it was a school story. I liked that Ellray was funny." Sally Warner is the author of more than forty books, including two works of historical fiction. However, Sally spent the first part of her working life in the visual arts. She was an art education teacher (Pasadena City College) and exhibiting artist. Sally’s first three books – about creativity – were for adults. And then, as she puts it, “I worked my way up to writing for children.” Sally has written three series to date for young readers: the Lily series, the Emma series, and the EllRay series. Coming soon (2016 – 2018) is a series about Alfie Jakes, EllRay’s little sister! In addition, Sally has written many “stand-alone” novels for middle readers, and older readers as well. These include “Sort of Forever” (Knopf), “How to be a Real Person (in Just One Day)” (Knopf), “A Long Time Ago Today” (Viking), and “This Isn’t About the Money” (Viking). Sally’s books have been published in many foreign countries, including Italy, France, Italy, Sweden, Norway, Germany, Japan, the Netherlands, and several countries in South America.